Swat that Fly! Recorders and more! My 4th and 5th graders are doing recorders right now. I'm making a "Recorder is AWESOME!" file, which has been a lot of fun but has so many parts that I'm not ready to post it to TpT yet. I'll share it soon, and like "LEGO"s, it's going to have sets because I don't think it will all fit in one file! I have some Tic Tac Toe games that I've made for them too for the Recorder as well as a "I Have/Who Has?" Recorder version, in which they play their patterns. . . again these will be posted in a little while. This week we played a new game "Swat that Fly!" and it ended up having it's own little metamorphosis as we played. They are HUGE and the kids think they're super funny. The Dollar Tree still has them, you'll find them by the brooms and mops! Then we spread the cards out all over the room. The kiddos were in four teams, with each team parallel to one of my four walls. So, we had teams "East," "West," "North" and "South". 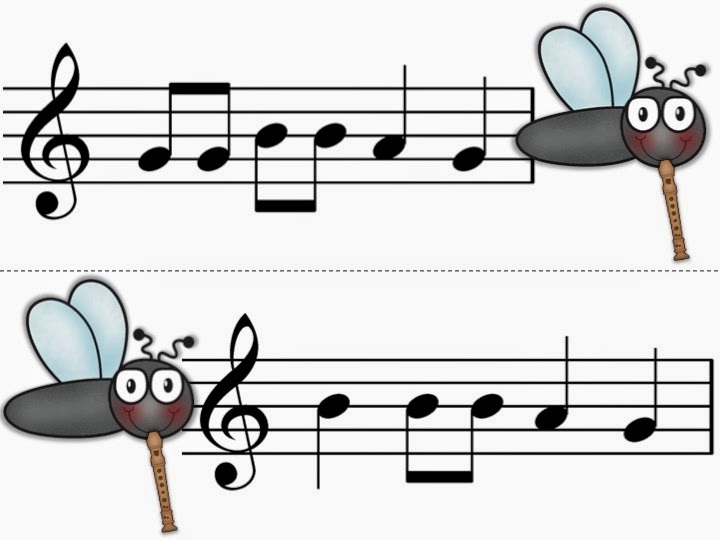 To start, I sang a pattern on absolute pitch names and one student went out to "swat" the fly that had that pattern. It didn't end there, in order for their team to "earn" that card the remaining students had to successfully play the pattern. Like I said, the game had it's own "metamorphosis." The students who were seated started working on the fingerings of the pattern while their team mate looked for the fly pattern with that pattern. It was awesome peer teaching. They were correcting each other's hand position, reminding each other to articulate, I couldn't have been happier. After we had gone through everyone on each team having a turn to hunt for flies we changed the game. Instead of me singing the pattern on letter names, I played the pattern on the piano. It really challenged them to hear the intervals and they did awesome with it! So far I have a BAG and a BAGE file created for these with the BAGED version almost complete. Here's hoping you're week is a "hit"! I promise I'll see you later this week on Transition Tuesday! Oh man - that's adorable! I really love those giant fly swatters! We have a dollar tree thing around here but I can never find the things music teachers say they find at them! :P I'll have to keep my eyes open! When my mom said she found them last year I couldn't find them either. It wasn't until I was buying brooms for a prop for my first grade concert that I saw them in their housewares area! LOL! Good luck finding them! Love it! 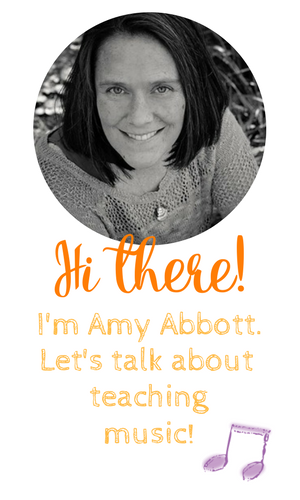 A bit too late for me this year, but I will be heading to your TPT store to prepare for 2014-2015! I love the swatting games! My students love when we play what I call "Melody Smack!" They get to smack something and then the kids who get two correct in a row go to the winners circle and then we have a sudden death round (that was a suggestion by a fifth grader!). 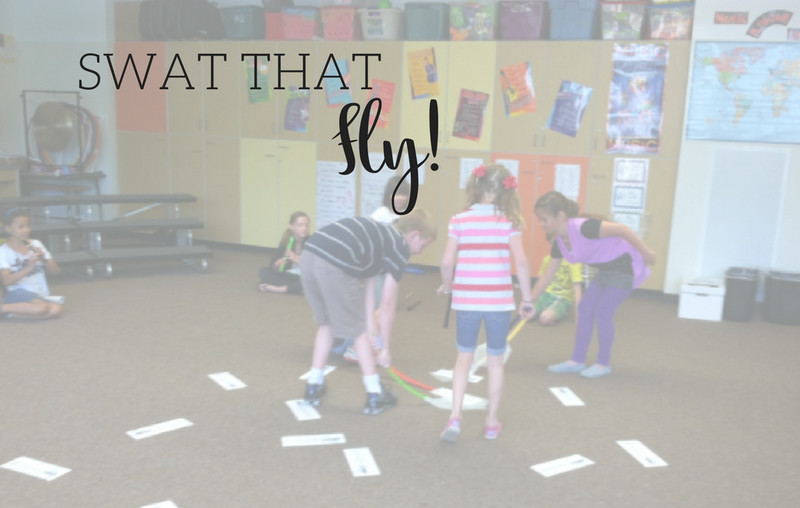 Played this with 4th graders and they LOVED it. I'm going to print a second copy of the cards and place them on a music stand. I will have students take turns playing the patterns for the swatters as an assessment :) Thank you for another quality resource, Amy! !